-an article for the December issue of the Order of St Luke the Physician Canada newsletter ‘The Canadian Healer’. In December 1980, I lost my voice for eighteen months due to Spasmodic Dysphonia. My GP told me that I would never preach again. My father-in-law the Rev Dave Cline, at the time, was the OSL Warden for BC and Yukon. Desperation led me to join OSL where I devoured every book that I could find on healing. I particularly appreciated the insights I gained from filling out the OSL study guide on Jesus’ healing miracles. Later I even became an OSL Chaplain. 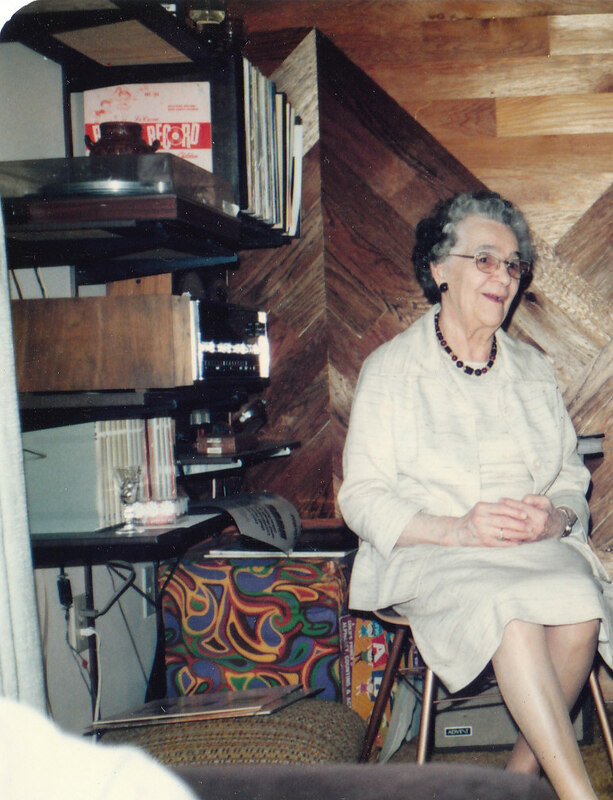 On May 25th 1982, I had successful throat surgery and was able to speak again. During the surgery, I had a twenty-four hour prayer vigil. Healing prayer and healing medicine belong together. Every three months, I have Botox treatments that help maintain my voice. Every time I preach is a miracle. My goal is to be like the tenth leper who came back and gave thanks. During the eighteen months of voice loss, I read sixty books on speaking and writing. God birthed a passion for writing and communication during my darkest time. I realized that even without a voice, I still had much to say. My ‘voice’, particularly about healing and wholeness, was meant to be heard. Since that time, I have written over four hundred newspaper articles and have recently published my sequel book ‘Restoring Health: body, mind and spirit’ on Titus. Many people don’t realize that the book of Titus is Paul’s health instruction manual to unhealthy pirates. The book of Titus gives us the keys to healthy churches, healthy families and healthy lives. Paul’s key emphasis to Titus again and again was holistic health/soundness: healthy faith, healthy doctrine, healthy love, and healthy endurance. Health for Paul was not just physical. Paul insisted on health in every area of Titus’s life as he impacted the Cretans. The very Greek word for both health and soundness is ‘hygiaino’ ὑγιαίνω from which we get the modern term ‘hygiene’. Many people do not realize that soundness and health are the same biblical concept. When a heart is healthy, the doctor says that it is sound. The book of Titus was not merely about healthy/sound doctrine. Health for Paul was holistic, embracing our whole life in body, mind and spirit. Over the years, I learned that the healing ministry needs to be integrated into regular Sunday morning worship, not just put in a midweek corner for the few. I will never forget the night that Lee Grady, former Editor of Charisma Magazine, prophesied about St. Simon’s North Vancouver being a well-spring of healing with healing teams being raised up for body, soul and spirit restoration. Every worship service at St. Simon’s, whether traditional or contemporary, has a team ready to pray for healing. Keith Bird, OSL Canada editor, said that Restoring Health “presents to us ‘modern-day pirates’ a challenge for becoming whole in body, mind and spirit. I didn’t want to put it down.” Imagine how wellsprings of holistic healing, Titus communities throughout Canada, might revolutionize our toxic Canadian pirate culture. p.s. Click to check out our newest marriage book For Better For Worse: discovering the keys to a lasting relationship on Amazon. You can even read the first two chapters for free to see if the book speaks to you. Ed served for 31 years as the Rector of St. Simon’s Church North Vancouver, B.C., from 1987 to 2018. Ordained in 1980, he also served at St. Philip’s Vancouver and St. Matthew’s Abbotsford. Ed and his wife Janice have three sons James, Mark, and Andrew. 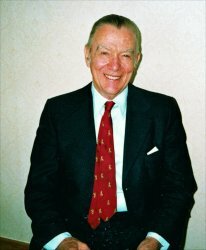 He served as Chaplain and President for Alpha Canada. 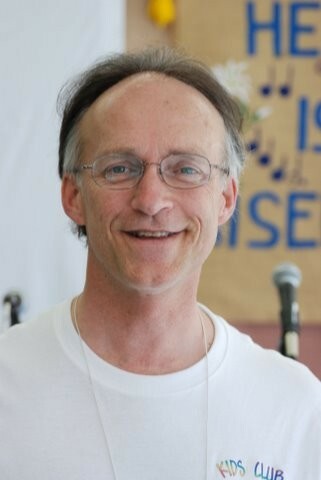 As the National Chair for Anglican Renewal Ministries of Canada, he was one of three co-signers of the Montreal Declaration of Anglican Essentials. For the past 30 years, Ed has written over 500 articles as a columnist on spiritual issues for local North Vancouver newspapers. His award-winning prequel is Battle for the Soul of Canada on 1st & 2nd Timothy. In the last number of years, he has had the opportunity to lead conferences and retreats in Honduras, Rwanda, Uganda, Washington State, BC, Alberta, Saskatchewan, Ontario, Newfoundland, and Toronto. Categories: Uncategorized | Tags: botox, Canadian Healer, Charisma Magazine, Crete, healing, health, Holistic, Keith Bird, Lee Grady, Order of St Luke the Physician, OSL, piracy, Pirates, Restoring Health, Rev. David Cline, spasmodic Dysphonia, Titus, voice | Permalink. I remember when I lost my voice for 18 months back in 1980. I will never forget resigning my position at St. Philip’s Dunbar, going on sick leave, driving to the Employment Insurance office only to find out that our diocese did not have any long-term disability insurance. The condition is called ‘spasmodic dysphonia’ . It was caused by a rare viral throat infection which happens statistically to one in five million people, something like winning the lottery in reverse. Spasmodic Dysphonia causes the vocal chords to overadduct (overshut) on a spasmodic or intermittent basis, cutting off words or parts of sentences. Spasmodic Dysphonia is not caused by stress, but sometimes is more noticeable under stress. During those eighteen months, I read sixty books on public speaking and writing. It taught me so much about clarity and focus, giving me a passion to communicate, making the most of what I had. On May 25th 1982, I had surgery at VGH by Dr. Murray Morrison in a successful operation that allowed me to speak again and go back preaching after being off for a year. My GP thought that I would never preach again, and he would have been correct, except for having had this surgery. They cut the left laryngeal nerve of the left vocal chord, which stopped the adducting/shutting of that chord. As the right chord still overadducted/overshut, it balanced out. After my surgery, my voice was free of the spasms, but was initially much quieter and more breathy. From 1982 to 1987, I served as the assistant priest at St. Matthew’s Abbotsford. As Abbotsford was a bible belt, they had a spiritual column in the local newspaper which I began to write in. Around 80,000 people read my columns, giving me significant feedback, mostly positive. People have said to me for years that I should write books. They also encouraged me to get my doctorate. In 1987, I became the Rector of St. Simon’s North Vancouver. The local Deep Cove Crier newspaper asked me in 1988 if I would start up a spiritual column. Little did I know that I would still be writing for this monthly newspaper twenty-six years later. I was also privileged to co-ordinate a weekly ‘Spiritually Speaking’ column for the North Shore News from the years 2,000 to 2010. With well over 360 articles published, God helped me develop my passion for writing. People kept encouraging me to write another book. In 2006, Battle for the Soul of Canada was written, receiving an award from The Word Guild. I was privileged to be interviewed about my book and the Anglican situation on most major Canadian TV, radio and newspaper stations. 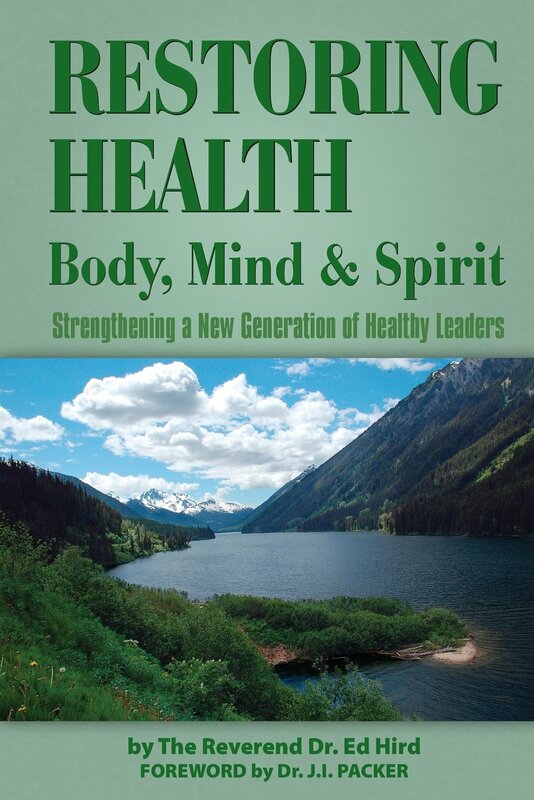 I worked for a number of years writing the sequel book on Titus ‘Restoring Health: Body, Mind and Spirit’. During that time, I finished my Doctor of Divinity on the area of Strengthening Marriage: Bridging Emotional Cutoff. With what I have learned about writing from the Write! Canada conferences and The Word Guild, it enabled me to finish my part-time doctorate in just four years. A huge part of finishing a doctorate is writing numerous essays, including a final 300-page Doctoral Thesis. With the growth of social media and the internet, over 755,000 people have read my four hundred articles online. Writing and communication is continually to be radically impacted by the hi-tech revolution. Nothing is remaining static. Through extensive coaching with Dr. Terry Walling, I have mapped my potential next six books, using the umbrella concept “Strengthening a new generation of healthy leaders’. Losing my voice helped me find my writing voice. Everything that is against us can be turned by Jesus to our advantage. While God did not give me spasmodic dysphonia, I am grateful that God has brought much good from this trauma over the years. Categories: Uncategorized | Tags: Battle for the Soul of Canada, Doctor of Divinity, Dr Murray Morrison, Dr Terry Walling, mind and spirit, North Shore News, Restoring Health: Body, spasmodic Dysphonia, St Philip's Dunbar, St Simon's North Vancouver, Strengthening Marriage, The Word Guild, Titus, VGH, Write! Canada | Permalink. Doctors make a difference. Prayer makes a difference. 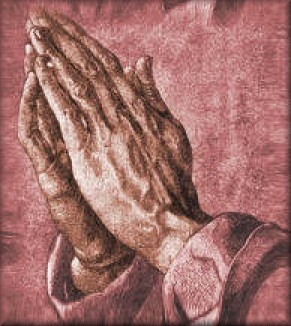 There is no competition between medicine and prayer. They fit together, hand in glove. I wrote an article in the Feb 1994 Deep Cove Crier about the medical condition “Spasmodic Dysphonia” that I have successfully battled with. 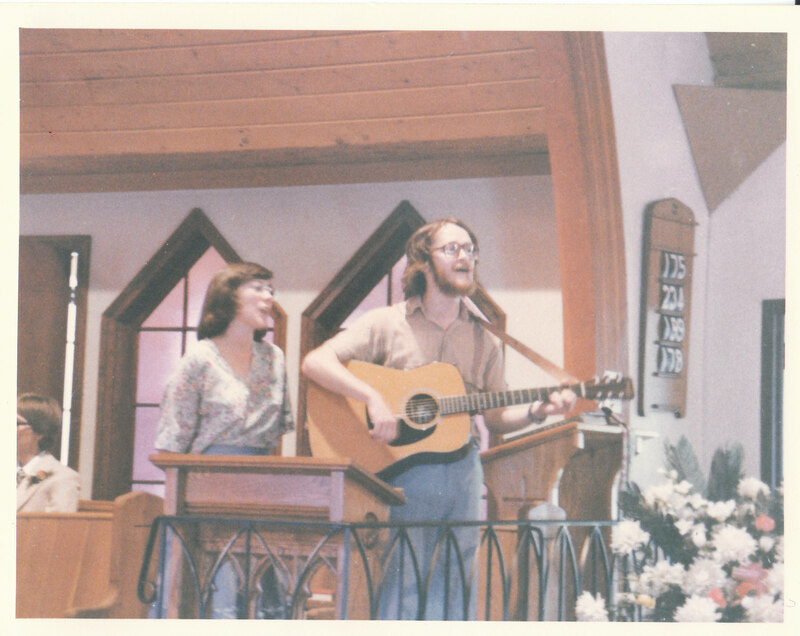 An article in a North Shore-wide newspaper commented about myself: “He seems to be always smiling and is said to be ‘very funny’, despite a serious speech impediment.” As many of you know, I lost my voice 38 years ago in 1980 for 18 months in the early days of ordained ministry. The condition is called ‘spasmodic dysphonia’ . It was caused by a rare viral throat infection which happens statistically to one in five million people, something like winning the lottery in reverse. Spasmodic Dysphonia causes the vocal chords to overadduct (overshut) on a spasmodic or intermittent basis, cutting off words or parts of sentences. Spasmodic Dysphonia is not caused by stress, but sometimes is more noticeable under stress. Thirty-six years ago, I had surgery at VGH by Dr. Murray Morrison in a successful operation that allowed me to speak again and go back preaching after being off for a year. My GP thought that I would never preach again, and he would have been correct, except for having had this surgery on May 25th 1982. They cut the left laryngeal nerve of the left vocal chord, which stopped the adducting/shutting of that chord. As the right chord still overadducted/overshut, it balanced out. After my surgery, my voice was free of the spasms, but was initially much quieter and more breathy. This successful surgery was still proving effective until August 2003 when I developed laryngitis that wouldn’t go away. To deal with the laryngitis, I took nine months of helpful speech therapy with Margy Smith, a very gifted speech therapist on the North Shore. She took me a long way along the road of recovery, but finally my otolaryngologist (ear, nose & throat specialist) Dr. Murray Morrison recommended that I take the botox treatment to loosen the overtightness of the vocal chords. Dr. Morrison’s investigation showed that my left laryngeal nerve has re-enervated or regenerated itself and thereby contributed to an overshutting of the vocal chords once again. This was the reason for my susceptibility to laryngitis over the past year. The overshutting of the vocal chords is like a door continually slamming shut. After careful research, prayer, and reflection, I went ahead with the botox treatment at VGH (Vancouver General Hospital). It took about 5 minutes! The botox treatment by Dr. Murray Morrison allowed a fine-tuning of the benefits of my previous 1982 surgery. The botox was injected into both laryngeal nerves, thereby loosening the vocal chord shutting (adducting) on both sides. When I told people that I had a botox treatment, some people assumed that I was worried about middle-age wrinkles! But in fact botox is primarily a medical therapy to deal with a range of dystonias, including vocal chord spasming. My wife and parents were thrilled by the elimination of the spasming through the botox treatment. My mother didn’t initially recognize my voice on the phone. The botox treatment lasts for three months, and then is redone by Dr. Morrison at VGH. It initially overloosens the vocal chords a bit, with the result that my voice will be somewhat breathy and quieter to start with. The treatment greatly enhances my ability to read out loud the liturgy and scriptures, which has been more difficult than spontaneous preaching. Over the next few weeks, the vocal chords are gradually tightening again, resulting in a less breathy voice and less quiet voice. I am so grateful to God for advances in modern medical science that help people like myself in such practical ways. I am so grateful to God for people like you reading this article, many of whom I know have been praying for me. I have had several people specifically pray: “Ed Hird will not be silenced”. I am very happy with this new medical step. It is so exciting to be able to speak freely without being cut off in mid-sentence. Thank God that prayer and medicine can be best friends. Categories: Uncategorized | Tags: Anglican Coalition in Canada, Anglican Mission in the Americas (Canada), Battle for the Soul of Canada, botox, Deep Cove Crier, doctors, Dr Murray Morrison, dystonia, ear, GP, laryngal nerve, laryngitis, Margy Smith, medicine, nose and throat, Otolaryngologist, over-adduction, prayer, Reverend Ed Hird, spasmodic Dysphonia, speech therapy, St. Simon's Church North Vancouver, Vancouver General Hospital, VGH | Permalink.